Thinking of getting a Bulldog? Let's plan wellness first! Bulldogs are probably the more iconic of the dog breeds. With their scrunched up face and short, stocky body, Bulldogs have a certain disposition for a variety of different health problems. Do not fear: Any pet owner can be able to love and care for this lovable dog breed with the proper insights. Before making any big purchase, an informed customer must do their own research. 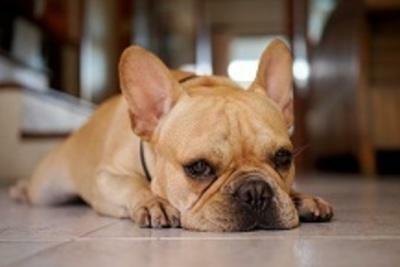 If you are looking to purchase a new pet begin by learning what a breed’s top health issues are. Wellness planning is a good place to start to ensure that you can afford any possible health issues that may arise during your pet’s development. When it comes to the Bulldog, there are three top health issues that you should consider. The first of which is fold dermatitis. Your Bulldog’s facial bone compression along with the abnormal growth of your its tailbone is what creates the folds in the skin. Dermatitis is an inflammation of the skin where there are excessive skin folds or wrinkles. This occurs when the skin rubs together, trapping excess moisture in the folds. When this happens your Bulldog runs the risk of a bacterial skin infection, or Pyoderma. To avoid this, it is important to take a warm washcloth to your bully’s wrinkles, paying special attention to the folds around the nose, as frequent as needed. Not all Bulldogs are the same. Some are messier than others when they eat and drink and will require more frequent care. Speaking of the folds around the nose, Bulldogs tend to be more prone to developing breathing problems. Bulldogs tend to suffer from brachycephalic syndrome due to the wrinkles pushing against the nose. Brachycephalic syndrome is just a technical term that means your dog is having trouble breathing because it has small nasal passages. A few things you can do to relieve breathing issues at home is to monitor your pet’s breathing to notice any variance in the pattern, keep your pet cool to keep from overheating, and allow for plenty of rest. If breathing problems persist your pet may need surgery to correct the issue. Surprisingly, all puppies are born with perfectly normal hips. It is not until shortly after birth that puppies start experiencing dysplasia. A few factors to consider when trying to prevent elbow and hip dysplasia in your Bulldogs is to maintain their ideal weight through proper exercise and diet. Exercise is key in the development of muscles in puppies. With Bulldogs, it can be both good and bad. Too much exercise can put extra stress on the joints. Not enough, and your pet runs the risk of gaining too much weight. Work with your veterinary clinic to create a wellness plan to properly balance diet and exercise routines to maintain weight and avoid dysplasia in your new puppy. Prevention truly is the best type of medicine. It is important to establish a wellness plan with your veterinarian. Veterinarians will help keep you and your new pet up-to-date on shots and vaccinations, annual wellness checks, and preventative care to avoid any long-term complications. Most of all, your veterinarian can provide you will the knowledge and confidence you need to raise a healthy, happy puppy.